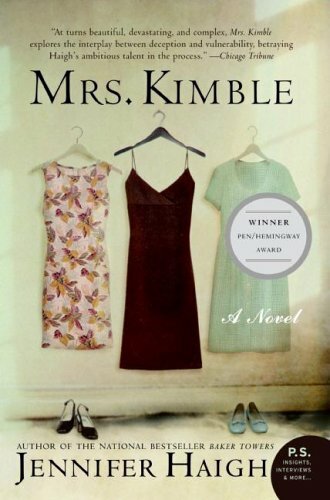 Goodreads: In her masterful first novel Mrs. Kimble, Jennifer Haigh delivers the riveting story of three women who marry the same man. Ken Kimble is revealed through the eyes of the women he seduces: his first wife, Birdie, who struggles to hold herself together following his desertion; his second wife, Joan, a lonely heiress shaken by personal tragedy, who sees in Kimble her last chance at happiness; and finally Dinah, a beautiful but damaged woman half his age. Woven throughout is the story of Kimble's son, Charlie, whose life is forever affected by the father he barely remembers. Kimble is a chameleon, a man able to become, at least for a while, all things to all women -- a hero to whom powerful needs and nameless longings may be attached. Only later do they glimpse the truth about this enigmatic, unknowable man. Kritters Thoughts: What a fantastic read!! I have been holding onto this book and have moved it more than once. I am so upset with myself for not reading it before now. Intriguing! This is a book I would probably pass on but your review has got me thinking about it.